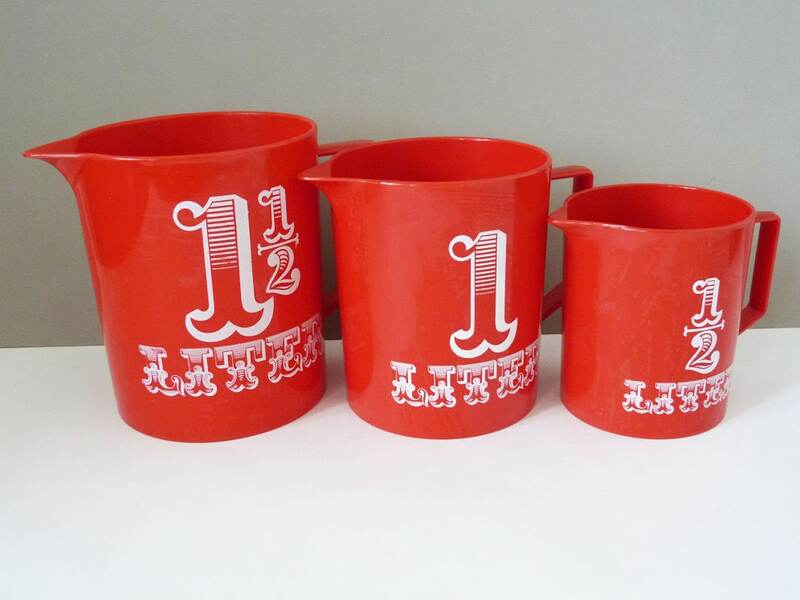 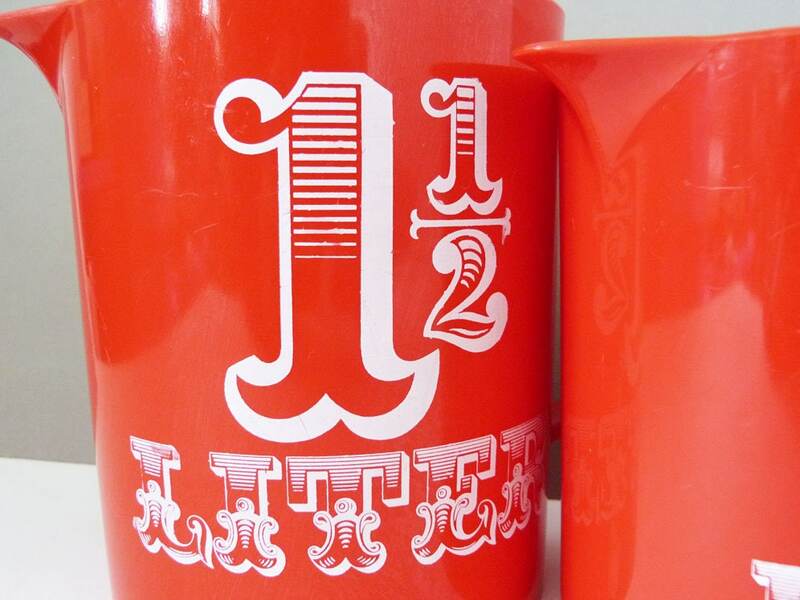 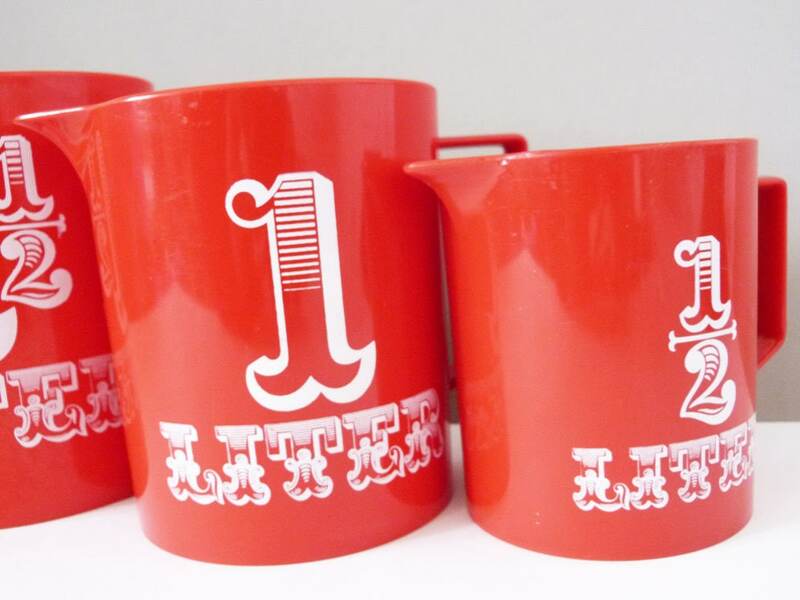 Amazing 1970's West German Vintage plastic jugs, graduating from a half litre to one litre to one and a half litres, with a stunning vintage circus style font with the different sizes. 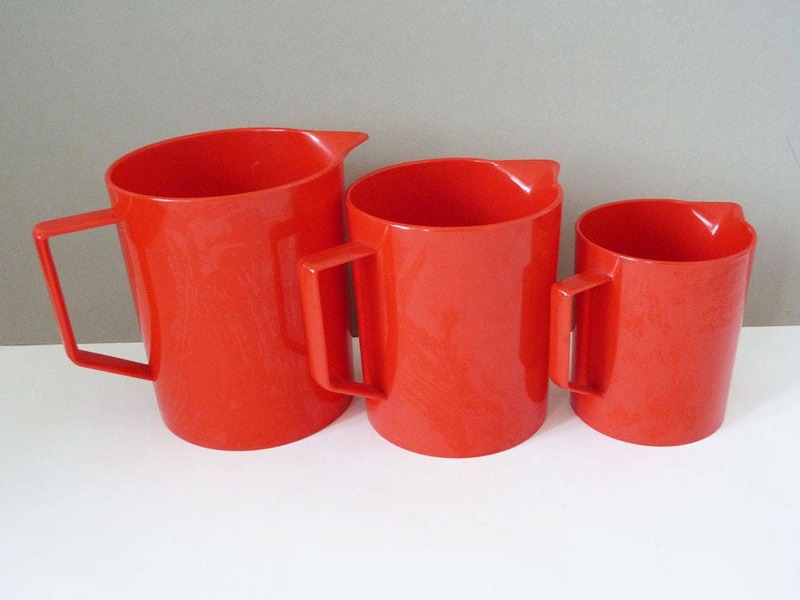 All 3 jugs are in great condition, with some light surface scratches. 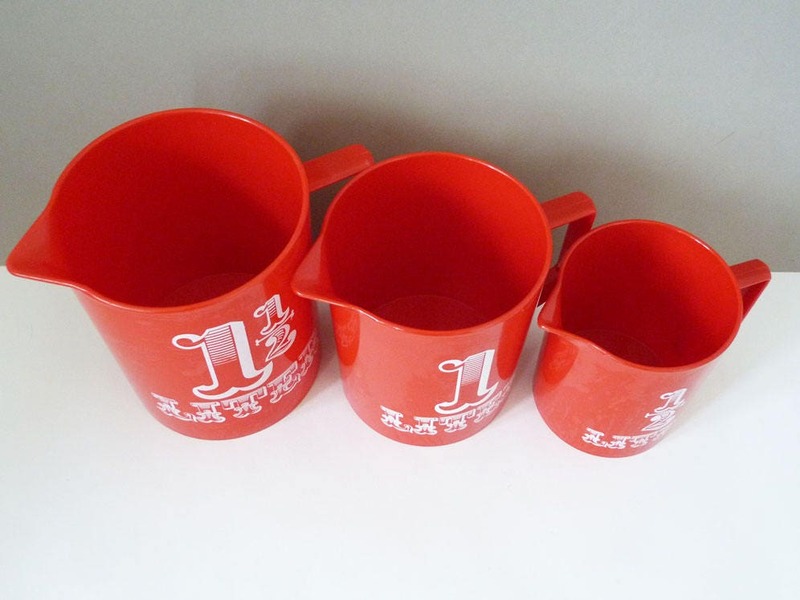 0.5 litre 11cm tall , 9cm wide.